Frank was born and raised in the Twin Cities, graduated with honors from St. Thomas University with a degree in Math and Science in 1953. He married Frosty in August of 1953. He then served his country as an officer in the US Air Force, Fight Squadron from 1953 to 1955. He and Frosty began farming in Kimball, Minn., and started Schiefelbein Farms in 1956. 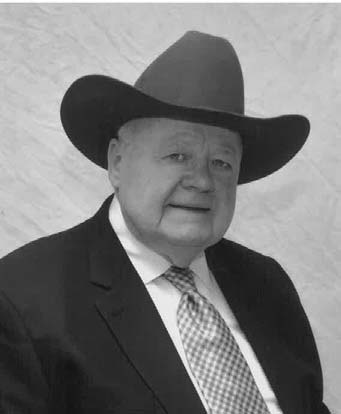 He purchased his first Angus breeding cattle in 1962 focusing on “performance and carcass traits”. Frank and Frosty raised 9 sons, with all 8 of their living sons active in the operation today. Scheifelbein Farms currently owns over 4000 acres in Meeker, Stearns, and Wright counties, more than 800 registered Angus females, and feeds more than 5,000 head each year. Schiefelbein Farms is ranked 8th in the United States for its number of exceptional “pathfinder” registered Angus cows. Schiefelbein Farms was nominated in 2003 as a finalist for the BIF seed stock producer of the year. Schiefelbein Farms was the first Angus sale to gross more than $1 million dollars. Schiefelbein Farms host hundreds of visitors each year with international guests from across the globe.